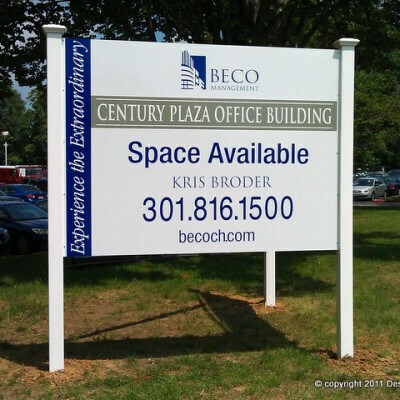 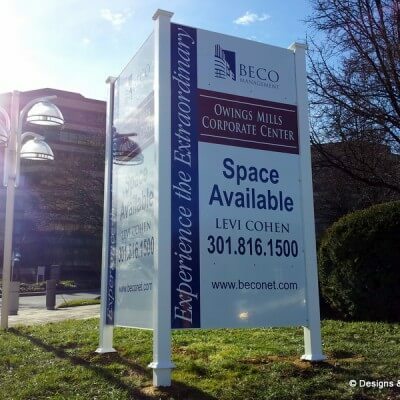 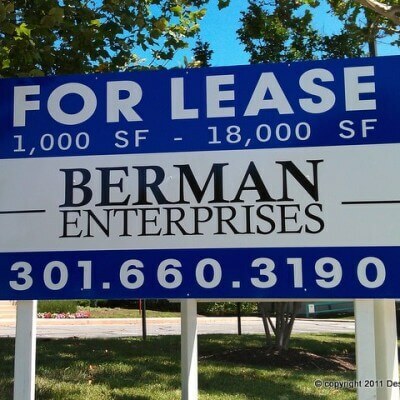 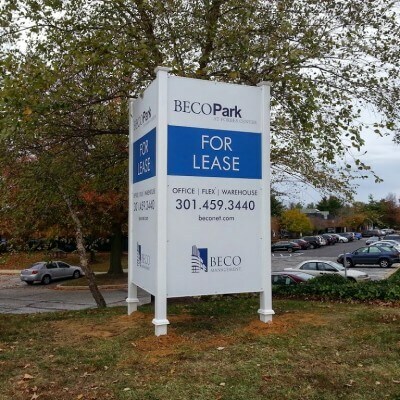 A printed dibond sign installed on the exterior wall of the Day Building in Annapolis, Maryland. 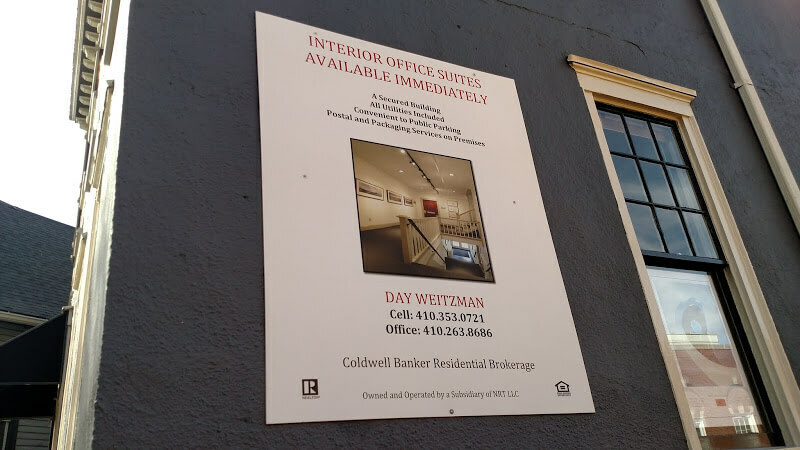 The sign is attached to the wall with plugs. 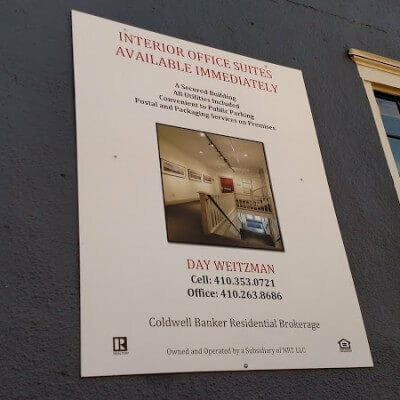 it can be removed, refaced, and re-installed as needed without damaging the wall. 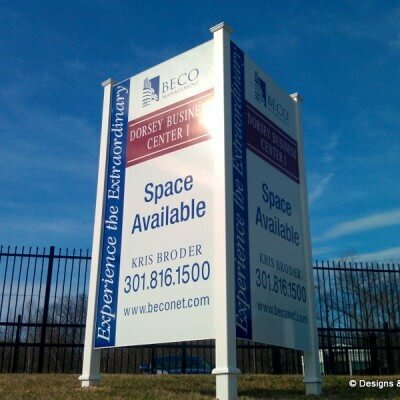 We use dibond and alumalite to create many of our real estate signs.